I think I’ve solved my power issue with changing the starter generator, new battery, solenoid, regulator. Everything is cranking over very fast like it should know. 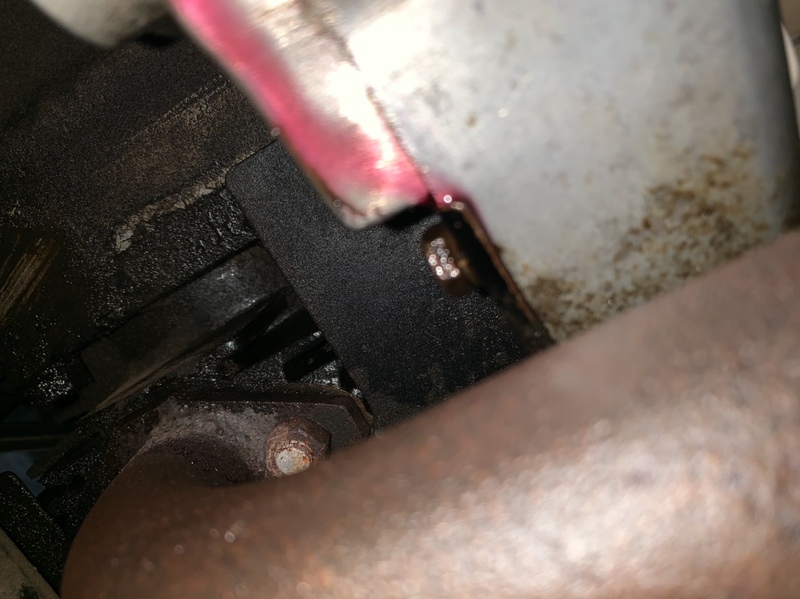 I did not get it to spark up so going to change the spark plug now as I think it got flooded from the wrong oil mix previously. 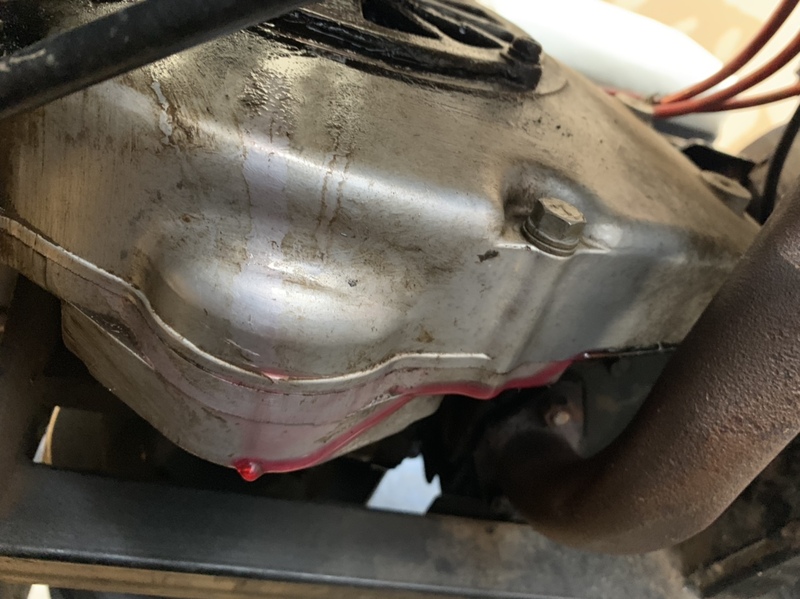 BUT...now I noticed I have this red-ish/pink colored fluid leaking on my floor and it appears it’s coming from the bottom of my motor/ exhaust area. Here are some pics. If anyone could advise me where to begin looking for this leak, it would be greatly appreciated!! Just wanted to note. It appears this fluid starts leaking more when I pull the choke. Did I maybe just fill the cart with too much oil? I noticed there was two lines on the tank with sharpie marker and of course I went to the top one (probably shouldn’t have?) Any ideas how to fix? Well that’s not very helpful lol. Need a little more info on the cart. Looks to me like a ezgo 2pg. We're did you put the oil? Do you premix your gas? Oh yeah that would help. It was all in my last post lol. It’s a 1988 ez go marathon, 2 cycle engine. I don’t premix my oil and gas it’s got injection system. That looks like transmission fluid or maybe gas with Stable ? What color is the 2stroke oil in the tank? I've only seen blue/green but maybe you've got fancy red stuff? It’s red. I thought it was strange too and kept looking up what the heck red/pink fluid could be and then realized my oil is this color lol.